Francis Joseph, Emperor of Austria, 19th century. 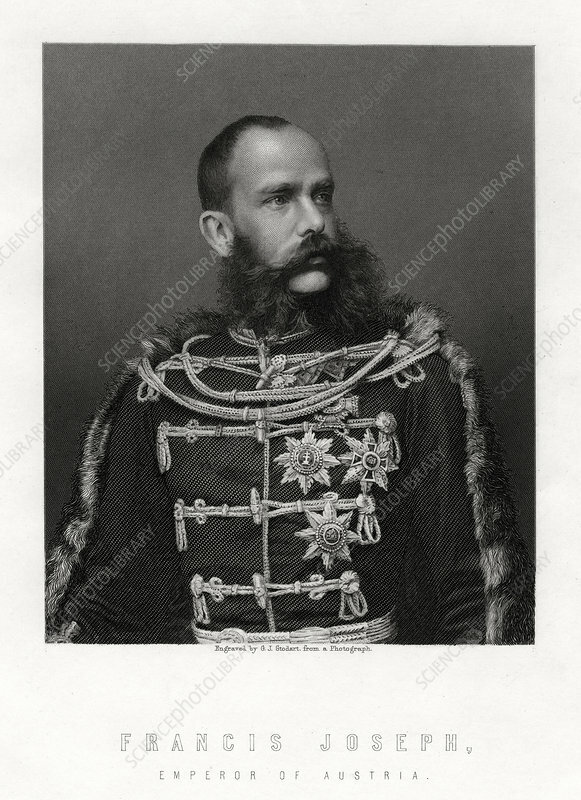 Franz Joseph (1830-1916) became Emperor of Austria after the Revolution of 1848 which led to the abdication of his uncle, Ferdinand I. His ultimatum to Serbia in 1914 after the assassination of his heir, the Archduke Franz Ferdinand, led to the outbreak of the First World War. Artist: George J Stodart.